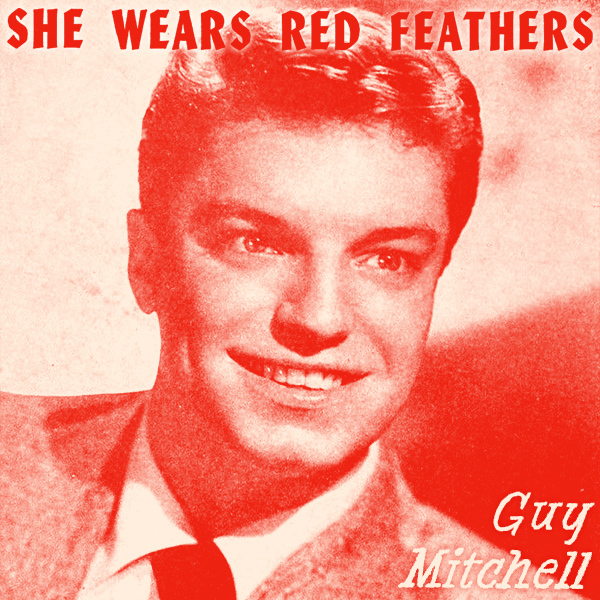 Whoa - this is going way back in time to 1953 - for the remix of the original cover artwork for She Wears Red Feathers (And A Huly-Huly Skirt) by Guy Mitchell. On the original cover we find Mr Mitchell smiling nonchalantly but no sign of anyone wearing any kind of feathers or huly skirt. On the remix we find a babe who is wearing lots of red feathers and if that is what counts as a huly-huly skirt, it's no wonder it didn't make the original cover in 1953. Scarlet!